Your guide to preventing falls, maintaining mobility, and relieving pain for years to come. If you have hip pain, taking it easy might seem like the best prescription. Rest is sometimes necessary, but hip pain is often a sign that you should embrace more movement. 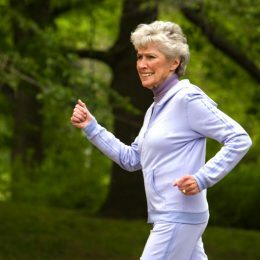 The good news: You’re not powerless against hip problems. 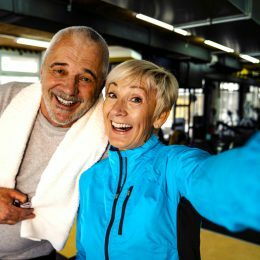 The right exercise routine can go a long way in helping you prevent falls, maintain mobility, and manage pain. Here are the best exercises for bad hips and the exercises you should limit or avoid. As always, safety is key. The exercises here may be different or more advanced than those you’ll experience in a SilverSneakers class. If you have a chronic condition, balance issues, or injuries, talk to your doctor about how you can exercise safely. The first step in fighting hip pain is simple: Move your body. If you sit a lot, even small amounts of movement or standing throughout your day can be beneficial, Woods says. Try incorporating any or all of the following five exercises into your routine two or three days per week. Loop a resistance band above your knees (least resistance), below your knees (medium resistance), or around your ankles (greatest resistance). Bend knees slightly with your feet hip-width apart. Step to the side until the band provides resistance, then slide your other foot over to re-create your original stance. Repeat this sidestepping movement for 10 to 15 feet in one direction (or as far as you can), and then cover the same distance in the other direction. 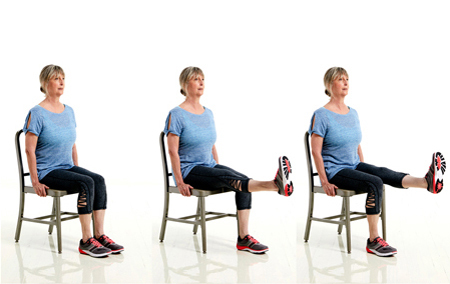 Make it easier: Try seated band abductions. 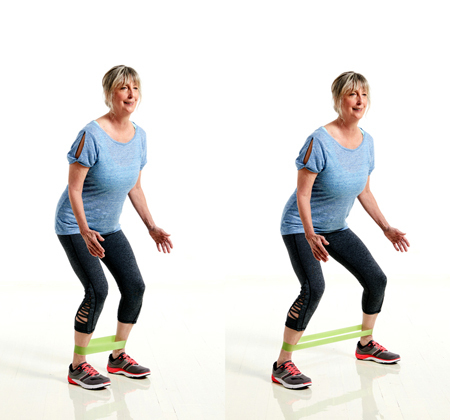 With the resistance band tied just below your knees, sit tall with feet about shoulder-width apart. Push your knees outward against the band, pause, and then release. Aim for 10 to 15 reps total. Sit at the front of your chair with knees bent and feet flat, holding on to the sides for balance. You can do this exercise with eyes open. Or for deeper concentration and a balance challenge, try it with your eyes closed. With your knee bent, lift your right leg about six inches off the floor (or as far as you can). Hold for three counts, and then lower it back to the floor. Repeat with your left leg for one rep. Do 10 reps total. 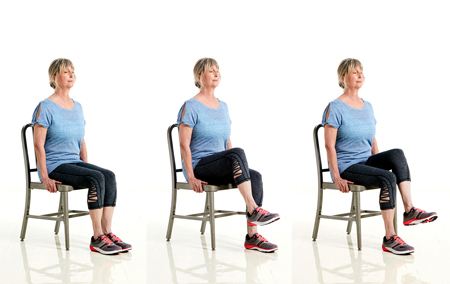 Sit toward the front of your chair with knees bent and feet flat, holding on to the sides for balance. Keeping your left foot planted and upper body still, straighten your right knee until your leg is parallel with the floor. Hold for two counts, and then lower it back to the floor. Do 10 reps on the right, then repeat on the left. Stand with your feet hip-width apart, knees slightly bent, and hands on hips. Brace your core—imagine you’re about to get punched in the stomach. Start on your hands and knees with your palms flat on the mat or floor and shoulder-width apart. Your neck should be in line with your back, and your gaze should be down or slightly forward. Brace your core, and raise your left arm and right leg until they’re in line with your body. Hold for five to 10 seconds, and then return to the starting position. Repeat on the opposite side (right arm and left leg) to complete one rep. Aim for five to seven reps total. Make it easier: Keep your hands on the floor, and only extend your leg. In addition to low-impact cardio and strength exercises like the ones above, yoga can “work wonders for tight hips,” Woods says. The way yoga combines stretching and strengthening the muscles in your hips, legs, and glutes is ideal for helping relieve pain. Whichever style of yoga you try, seek out proper instruction from a yoga teacher to ensure you’re performing postures correctly. And tell your instructor about any pain or injuries before class so they can suggest modifications. 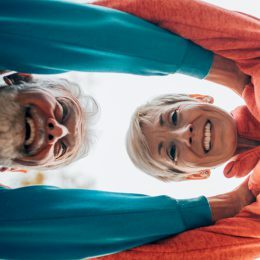 Check out SilverSneakers Yoga or yoga classes through SilverSneakers FLEX. Dr. Vasileff also advises against any exercises that require extreme ranges of motion, which he defines as more than 90 degrees of bend at the hip or knee. Deep squats are an example of this type of movement. Woods includes lunges and stepups in the “don’t” category. “It can be difficult for those with troubled hips to maintain proper form in these poses, which places additional strain on the hips,” she says.